This was one effed-up foundation. For all your crippling children needs. 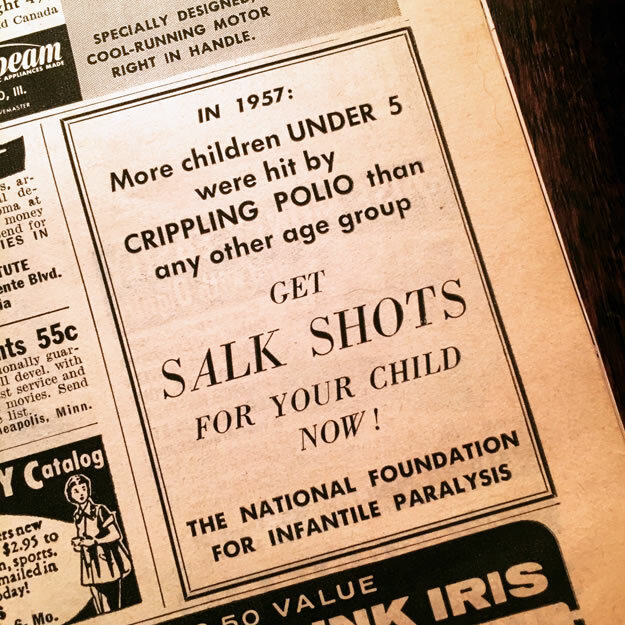 This entry was posted in ads of yore and tagged 1958, ads, advertisements, magazine ads, polio, print ads, salk shots on January 2, 2017 by Clayton Hove.